Why take the chance of damaging a valued musical instrument when you can entrust it to an experienced Calgary moving service? Musical instruments can be one of the most common casualties in a move. Unlike bookshelves or more solid furniture items, musical instruments are delicate, often hollow, and any damage to their shape or structure can have an impact on the way your playing sounds. And that’s without even going into the impact that damage can have on the value and beauty that many high-quality musical instruments are known for. Even if you’re planning to “DIY” most of your moving, it’s essential to hire the right Calgary professional movers to get your instrument from point A to point B safely. In this post, we’ll go over several tips that will help you before, during, and after your move. Packing an item correctly is the best way to prevent damage to your items. While sometimes it is impossible to prevent a moving van from driving over a bumpy area in the road, it is possible to prevent it from breaking your items. Most small-to-medium sized instruments, like violins, guitars, horns, and even drum kits come with portable cased designed for musicians to use for carrying their items daily. The best way to transport your instrument is to simply place it carefully in one of these containers--the hard-shell containers protect better against accidental crush or drop damage--and fill the space between the item and the edges with packing peanuts. When packing small to medium instruments, it is key to pay attention to the corners, as these are a commonly damaged part of the instrument. Pianos, harps, and other similar items require a strong degree of special care when moving. This is why for families in Calgary, professional movers are the best option. They save you time, money, and stress, and they allow you to focus on the larger aspects of your move. Getting a musical instrument settled in your new home can be much more exciting than packing it up, but the process demands the same amount of care and attention. 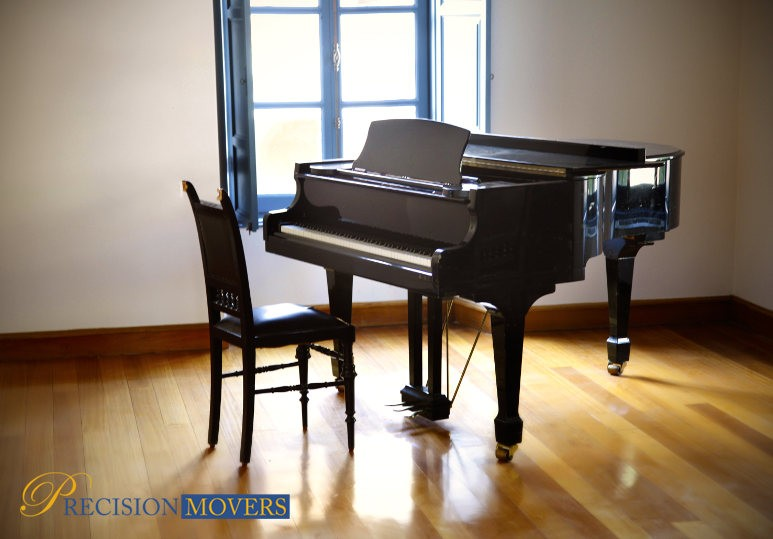 Professional piano movers who serve a wider area can help you unpack your instrument after a longer-distance move, ensuring that the set-up is just as efficient and smooth as the tear-down. If you’re planning a move and want to ensure your prized vehicle arrives safely, get in touch with us through our online contact form or by phone at 403-540-4393.